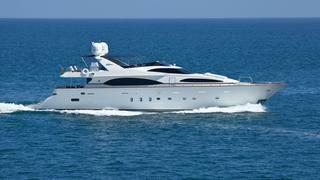 Super is one of the most sought-after superyachts available for charter in the Sea of Cortes. Having cruised the region for many years, her crew is arguably the most experienced around, with inside knowledge on all the best beaches, harbours and hang-outs. The crew will work tirelessly to ensure you discover the beauty of the islands, tending to your every wish. Enjoy wonderful marine life, an exclusive beach BBQ or perhaps invite some Mariachis onboard. This yacht will deliver an unforgettable voyage around the Sea of Cortes. Very well maintained, Super comfortably accommodates eight guests in four cabins, an optional cabin can also be created on the main deck to accommodate 10 guests.